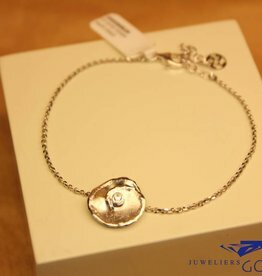 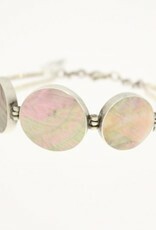 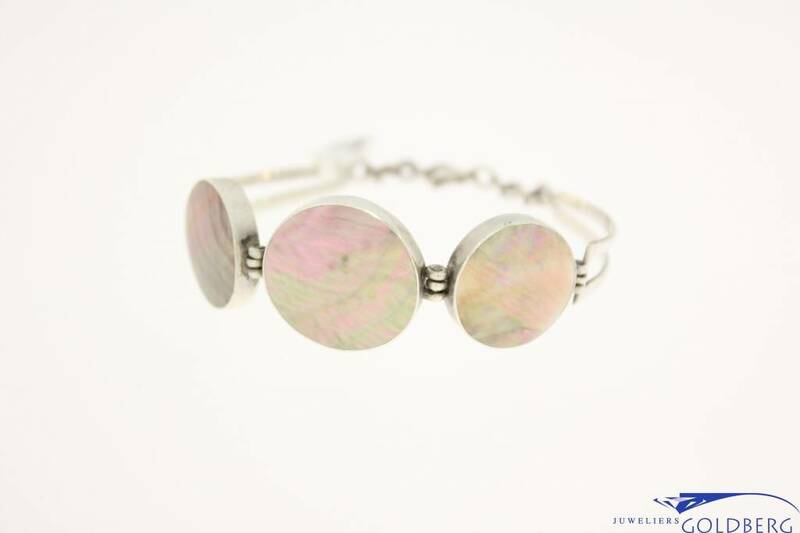 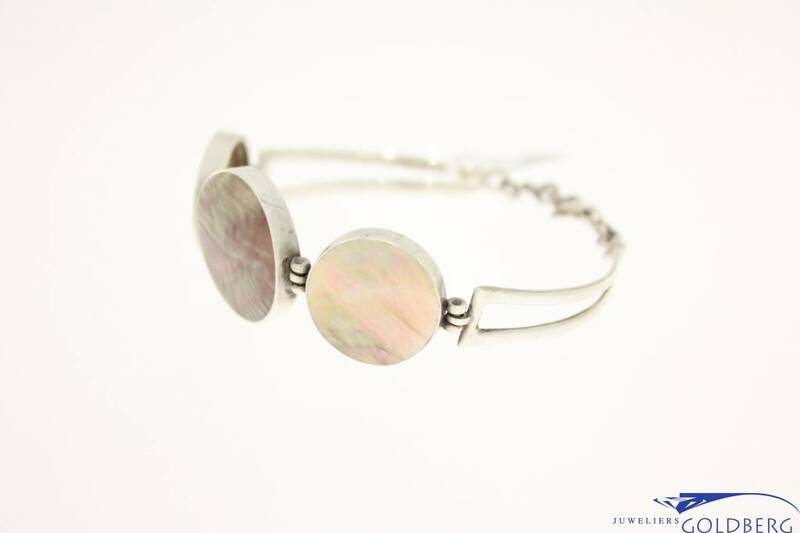 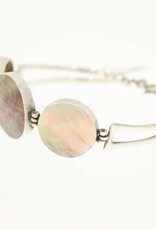 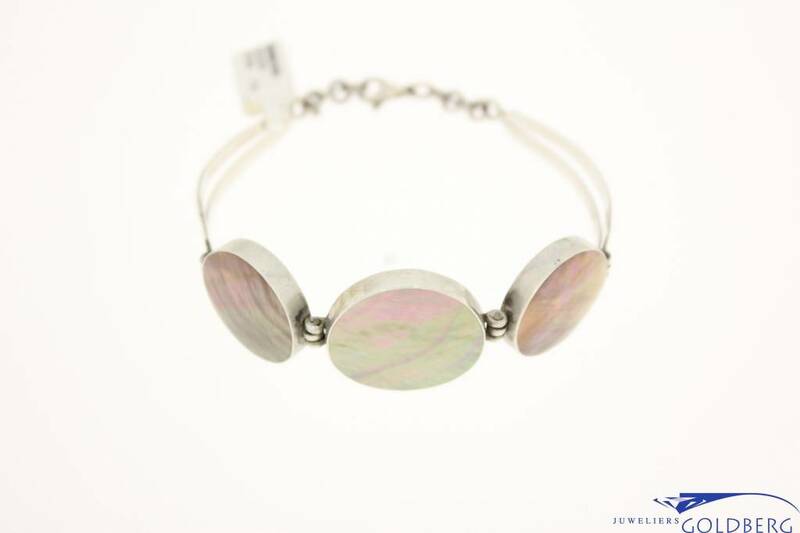 Beautiful vintage silver bracelet with mother of pearl. 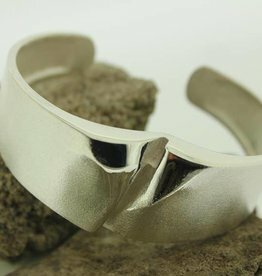 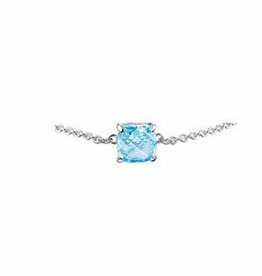 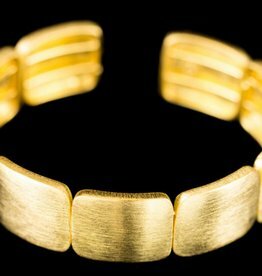 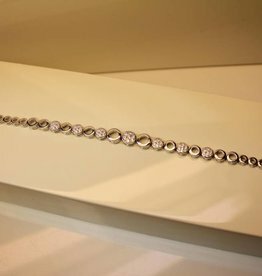 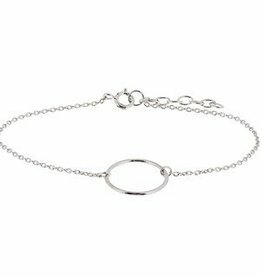 The bracelet is adjustable in length from 18.5 to 20cm. 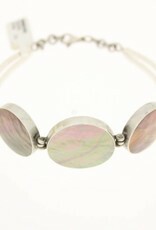 The silver circles with mother of pearl are 21 and 24mm in diameter.